Did you know that it is National Brownie Day? National Brownie Day and a Friday? 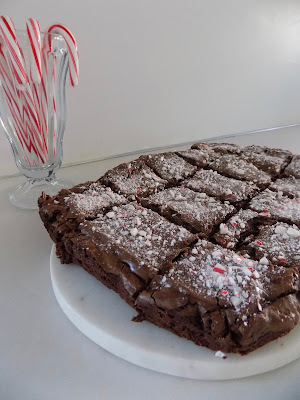 Since it is National Brownie Day I thought I would share my favorite Christmas brownie recipe with you. I made this Taste of Home recipe on a whim a few years ago and now we have to make it every year! In a large bowl, beat oil and sugar until blended. In a separate bowl combine flour, cocoa, baking powder and salt. Gradually add the dry mixture to the oil mixture. I like to add it in thirds. Set aside two tablespoons of peppermint candy for garnish. Add the remaining crushed candy to the batter. In a microwave melt chocolate chips and shortening. Sprinkle remaining crushed peppermint candy on top. And adding it to brownies is a match made in heaven in my book. This recipe is so simple and easy to make. 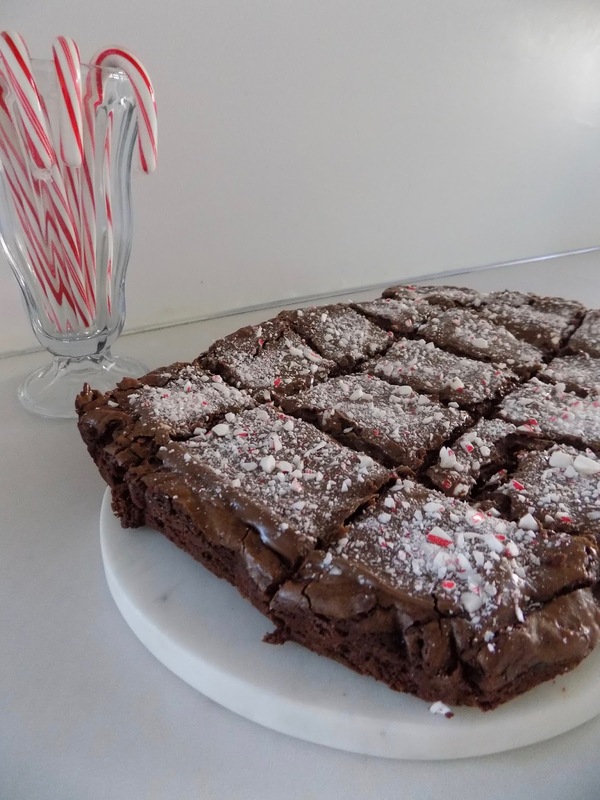 These brownies are sure to be a hit with everyone you share them with! I must give these a try tonight!! !